This trip with 3 different dives at the King Cruiser Wreck, Shark Point and Koh Doc Mai island runs every day in high season and most days in low season too! The King Cruiser was a large ferry boat, formerly a car ferry, which sank over 20 years ago between Phuket and Phi Phi after hitting the top of Anemone Reef. This will normally be the first dive, with subsequent dives at Shark Point, a submerged pinnacle of soft corals and Koh Doc Mai, a limestone island that juts up steeply from the water. 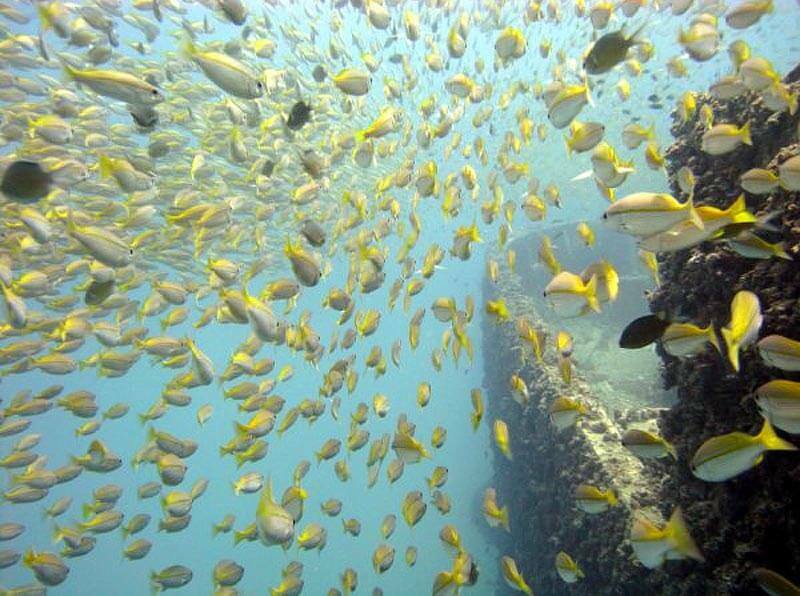 Sometimes, due to strong currents, the first dive may be at Koh Doc Mai rather than the wreck. The day trip boat will take about 1 3/4 hours to reach the King Cruiser allowing ample of time for some breakfast, equipment preparation, dive briefings and to catch some rays of sun. This trip is for Advanced Open Water divers or Open Water divers with a fair amount of experience and we also use this trip as part of our Advanced Open Water course. 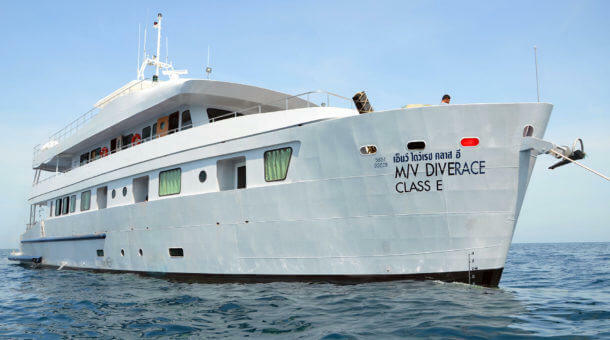 The 3 dives are very different, with a wreck, pinnacle and the steep walls of Koh Doc Mai. 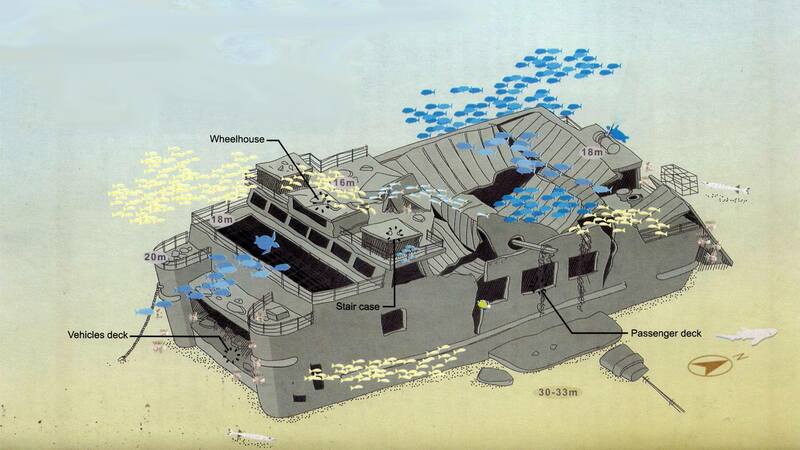 The wreck is covered in marine life sheltering from currents, the depth is from 15 – 31m. Shark Point is no deeper than 24m, a good chance of leopard sharks, and always a lot of fish action. Koh Doc Mai, if dived 3rd, is good for an 18m dive. The walls are covered in soft corals and gorgonians, look for things like ghost pipefish, moray eels and seahorses. Equipment rental extra 500 Baht for a full set. Note : This is an approximate itinerary. Trips may return earlier or a little later. Day trips to the King Cruiser Wreck and Shark Point can be booked as part of a day trip package, or as individual day trips. Day trips are also available to Racha Yai Island, Racha Noi and Racha Yai Islands, the Phi Phi Islands and the Similan Islands. 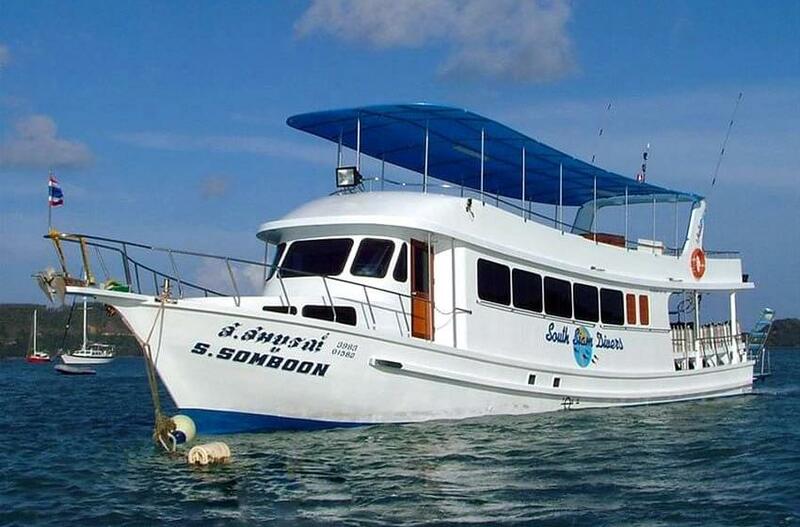 We also offer a wide variety of liveaboards to the Similan Islands and further north to Richelieu Rock and also into Myanmar.